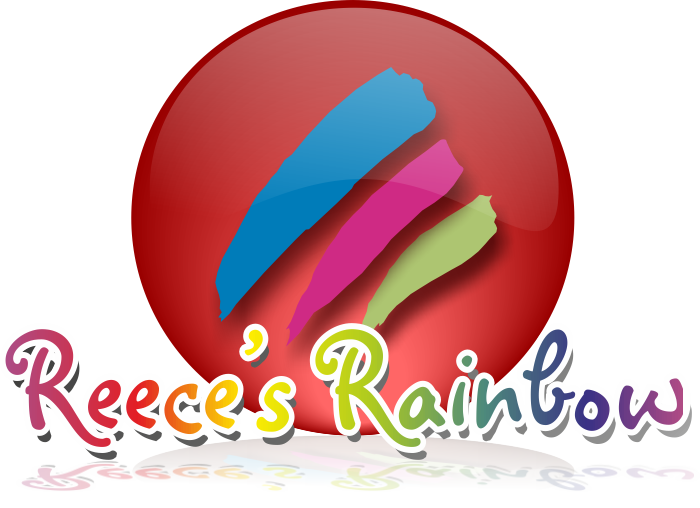 Apologia Education Ministries is a company very well known in homeschooling circles. 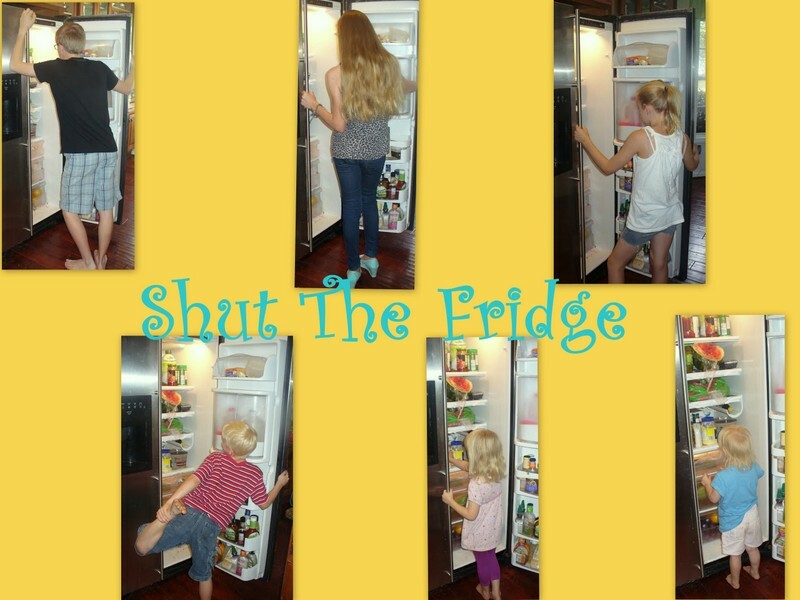 But, even if you aren't a homeschooler, they have some awesome products that you can use with your kids. 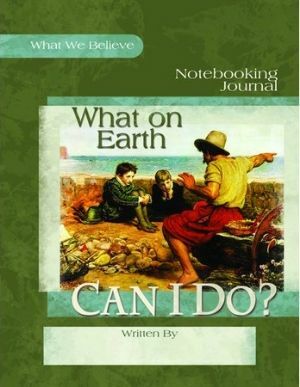 This time around, we got a book called What On Earth Can I Do?. 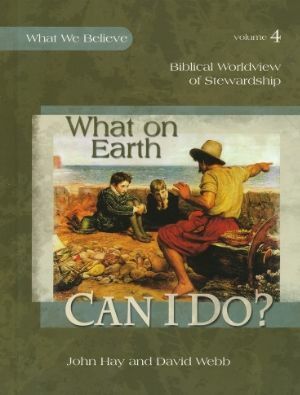 This book is part of the What We Believe series that helps develop a Biblical worldview. Whether you like it or not, everyone has some type of "worldview". I am going with a Biblical worldview at our house. Who Am I? What Am I Doing Here? I will be honest, when the opportunity to review this latest book in the series, I was planning on passing. I was busy. It was for grades 1 through 6, so I knew I would have to "teach" it and not just assign it. I knew the review would happen at the end of our school year. I just wasn't interested. But, for our reviews at The OldSchoolhouse (TOS), we have to fill our interest forms for all the available products.,...and to do that, you need to take a look at the product, so you really know your interest level....or, in this case, why I wasn't interested. I was doomed from the moment I went over to their website and read the little synopsis of the book. ".....helps children understand what it means to be a “good and faithful servant” of God (Matthew 25:23). This study will help them choose to put God first in every area of their lives based on these biblical truths: God owns all things because He created and sustains all things; He has entrusted me with certain gifts and wants me to use these gifts for His glory; I can honor God by using my money and possessions wisely; I can glorify Him by investing my time and talents wisely; my body is not my own but has been bought at a price; God expects me to care for His creation; God will reward me for my faithfulness." Then, I read the sample lesson, which is the first one from the book....and I was really hooked! I was going to have to teach this, even though it was the end of our school year. The reason I was so enthralled with this is because it seemed to be sending a message that is completely opposite of the one the world is sending to our children. The message of this book? That they are not the center of the universe! That is right. You heard me correctly. My children are NOT the center of the universe. Honestly, I tell them that all the time. I just thought I was the only one who did that. What On Earth Can I Do? tells kids, quite simply, that God has a plan, you are a part of that plan, your gifts and talents are from him and should be used for what HE wants, not what will make you feel good. There are 8 lessons in the book, they recommend you take about 2-3 weeks to complete most lessons. This works out well, because the lesson are pretty long (50ish pages or so). We went the 3 week route and had "class" 2 days a week. Take a look at a sample lesson plan from the book. The book also came with Notebooking Journals. We got a regular Notebooking Journal and Junior Notebooking Journal. A-man used the regular one and S-girl used the Junior one. Same basic information, just simplified for the Junior version. Who Put You In Charge? Will You Be Found Faithful? Where Does Your Time Go? Why Isn't It Easy Being Green? What Will Happen When the Master Returns? Each lesson starts out with the "big idea" that covers the main idea of that section. Then it moves into a short story that asks you to think. It then moves on to "hiding it in your heart" which is the Bible or scriptural portion of the lesson. There are also pre-written prayers and prayer starters in the book. The book moves onto a "What Should I Do?" section where they can consider how what they are learning can actually apply to their lives. It then turns to the teachings of Jesus through parables, with discussion that requires you to go deeper in thinking about what the parables mean for us today and how we can become better stewards of Jesus's teaching. As you can probably tell from what I just listed, these lessons cover A LOT of stuff. 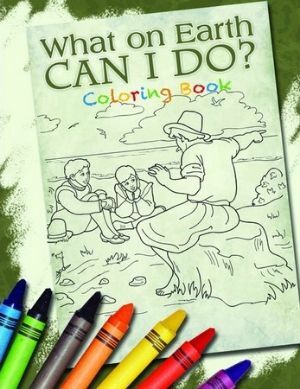 We also got a coloring book. A-man didn't enjoy using this much. S-girl, on the other hand, loved it. Sometime she would color while I read the stories aloud. So, onto how we used this curriculum. We normally did this 2 days a week. Honestly, this is one of those books that it was best to read it aloud to the kids and show them the pictures as I went along. There was one day that I was really busy, and A-man wanted to officially be done with school for the day. On that day, he sat and read the lesson to himself. Then later, I read to S-girl and asked them both a few questions. I had to make sure that A-man didn't just skim. He didn't. I really liked this book. The way it was presented, was very interesting to me, and especially, A-man. S-girl liked it, but didn't seem to fully grasp things like A-man did. One of A-man's favorite subjects is history. The thing he loved about this book is that there were so many history based stories and mini-biographies about real people from history. I am going to go into quite a bit of detail about the first lesson to give you an idea of the depth and scope of how the lessons are woven together from many different directions. The book started off on a really deep level, talking about supporting actor, Claude Rains and talked about how our role should be a supporting actor in God's story and that we should try to steal the spotlight. It then moved into a little biography about Adolf Hitler. Not just the Adolf Hitler of World War II fame, but who he was before that time in history. It was interesting. I learned some things that I didn't know about him either. The next part of this lesson is a fictional story about King's Cross train station during World War II. It told of a family of children who had to move out to the country and stay with people they didn't know in order to stay safe from all the bombings happening in London. We were able to have a lot of discussion after this story. We talked about how it reminded us of The Lion, The Witch, and The Wardrobe. We talked about the fact that kids really had to do this during wartime. We talked about how hard it would be for the kids and for the parents. The lesson then moved into a little biography about Charlie Chaplin and how his movies may have helped America to enter the war against Germany. The lesson then moved into a little story about Maria von Trapp, yes the Sound of Music lady, and then Corrie ten Boom, who wrote The Hiding Place. We were able to discuss these ladies quite a bit too, because we love The Sound of Music and back in 2001, Rainman and I (and the kids that were around then, D-man and A-girl) lived in Amsterdam for a month and went to the watch shop and home where Corrie ten Boom lived and helped hide Jews. I forget sometimes the things my kids have and haven't learned. We hadn't really covered much about World War II yet, just in the most general terms. This book helped us dig a little deeper, but not in a scary way. You should have seen their mouths drop open when we started talking about concentration camps and what Hitler believed about people. That people really did have to hide from the government, just because of their heritage. They were shocked when we talked a bit about the concentration camps and how people were treated and how many died there. This isn't necessarily a subject that I was planning to teach them at this age, but now that I have and we have had some of these discussions, I am glad I am starting out a little earlier with the kids. Their hearts are tender and open right now. This is the time to talk to them about how they can be an ordinary person that God can do extraordinary things through, or that their little piece of the world can be a beautiful thread in the tapesty that God is weaving. "Maybe no one has ever heard of you. Maybe no one will ever interview your or ask for your autograph. And yet you are in a position to to introduce people to the God of all creation. You are on a first-name basis with the King or kings! He will never snub you or pretend He doesn't know you. And He will always take your call, whether you're in trouble, you need advice, or you just want to talk "
Isn't that comforting and awesome? We are going to be continuing to work through this book during the summer months. Actually, it has already gotten easier for us to fit this into our days without all the other normal subjects too. I would say out of the two kids, A-man likes the curriculum better than S-girl. But she is learning things too, her vocabulary has improved too. That is where the Notebooking Journal was nice, because it really went through the words and concepts from the books. They used word finds, crossword puzzles, and, fill in the blanks. At the end of each lesson there is a Find Out More section. This area gives you "Things To Do" to apply the lessons that you learned, other books you can read that cover the same stuff, and even songs to listen to/sing and videos to watch. For example, lesson one that I told you about, with Hitler, Maria von Trapp, Charlie Chaplin recommended you watch The Prince of Egypt and The Sound of Music. Song recommendations include, "Take My Life and Let It Be", by Frances Ridley Havergal and Henri Abraham Cesar Malan (whew, that is a long name), and "Lead Me to the Cross" by Brooke Fraser. It is just another way that you can dig deeper and connect the lesson in a more personal way. We really had a lot of fun and interesting discussions between the 3 of us. Like I said, I imagine that some people may not be thrilled with the book starting out with some pretty serious/disturbing history during wartime.....but, it wasn't presented in a salacious or disturbing way that would traumatize my kids. The first thing I thought about when I started this book was that it would make a great Bible study at church. It has so many different ways of looking at the world, that I would love to see this done in a group setting in Sunday School or a Wednesday night Bible Study.....even all the way up through middle school and high school, even though that isn't the intended audience for this book. You can get a hard copy of What On Earth Can I Do" for $39.00, the Notebooking Journal is $24.00, and the coloring book is $8.00. You can connect to Apologia in all kinds of ways. You can see what other TOS reviewers thought of What On Earth Can I Do? The End of Birthday Palooza - L-Girl's Birthday!